I used Enviro Consultants UK for training on Environmental Principles and Best Practice and was extremely impressed by the way the course was presented, knowledge and passion for environmental issues was clearly evident. Being in the Oil and Gas sector I found this a very helpful and useful training course, well worth the journey from Aberdeen. J C Atkinson has over the last three years made significant investments into renewable technology, Solar PV and Biomass heating but as yet we have not yet progressed matters successfully to facilitate any of the available government subsides for the technologies. After exhausting our own efforts we engaged Enviro UK Consultants / Sharon Lashley to help, since with her help we have cut right to the heart of the problems and at last we seem to be making progress, her knowledge and enthusiasm are unrivaled. The course was informative and although having done some waste and environmental training in the past, was good to have a refresher and update. The course content was broken down into different modules, which were easy to follow, the presentation was good and at the right pace, I would recommend this course for anyone requiring training on waste aspects and legislation. I can thoroughly recommend the training delivered by Sharon recently at our top tier COMAH site. She delivered the Chartered Institute of Waste Management - Advanced Waste Smart training, a one day course to a cross section of employees with varying experience of waste. The training was very well received, with many attendees commenting on Sharon’s ability to get all the required knowledge across in an easy to understand and enjoyable way - all attendees successfully passed the course. Sharon is first and foremost an environmentalist and her passion for the environment and her surroundings shines through in her training delivery. She is very passionate and knowledgeable around the subject . 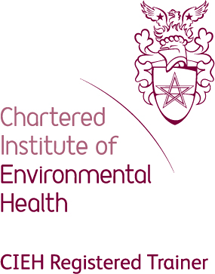 I attended the one day course CIEH- Environmental Principles and Best Practice which was very interactive and informative. The class was attended by a wide range of companies from a variety of sectors all interested in learning more about our environment. We all successfully passed the course. I would recommend Sharon to any company looking to raise their awareness around waste management and energy saving. Sharon has been assisting me with the development of an Environmental Management System to meet the requirements of the ISO 14001 standard. I have found Sharon to be extremely professional and knowledgeable. Her assistance has been fundamental the systems success. I have very much enjoyed working with Sharon on every occasion and been impressed by the depth and breadth of her knowledge which is translated into significant revenue generation for the companies for which she has worked with and for. I look forward to maintaining our relationship in the future and very much hope I can continue to be of service to her.